Have a problem convincing your tie to dress up for a formal occasion? Then give this tie a try? 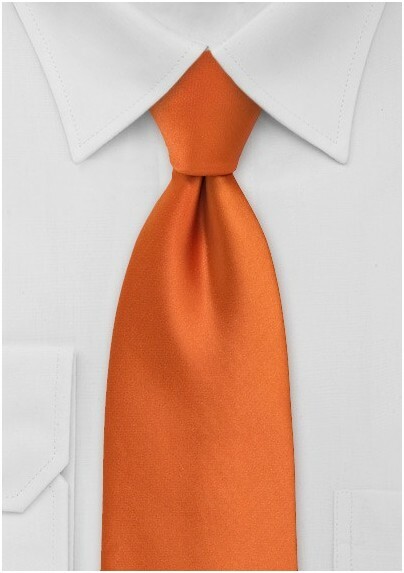 We guarantee he will ask to dress up in suit and tie each day after seeing this brightly colored necktie in persimmon orange. 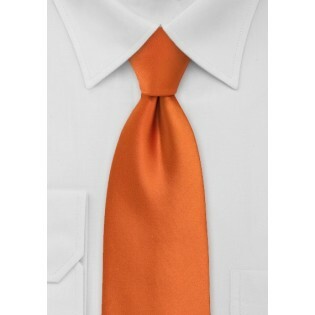 To match this tie we suggest suits or blazers in gray or navy. This tie is so popular that we at Mens-Ties.com also offer it in two other sizes: regular length for men, as well as XL length for big & tall men. Made by Puccini from care-free microfiber. Kids Tie Size: 48", Width: 2.5"